Birdsong in Craigton, near Inverness, Highlands sleeps 10 people. 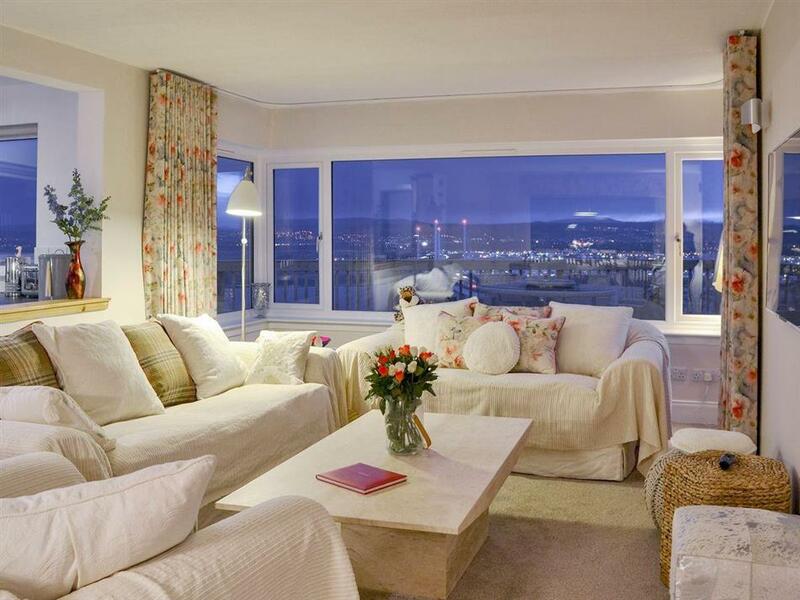 Birdsong near Inverness is a detached house which has spectacular, panoramic views over the waters of the inner Moray Firth and the Highland capital city of Inverness. Birdsong has been equipped and furnished to a high standard to ensure as comfortable and relaxing holiday as possible. Set in the small hamlet of Craigton and a short distance from the seaside village of North Kessock, Birdsong makes the perfect base for exploring the beautiful part of the northern Highlands. Only 3 miles from Inverness, visitors will find a wealth of historic and cultural attractions as well as a very good selection of shops, restaurants, bars and cafés. Culloden Battlefield, Fort George, Cawdor Castle and Loch Ness are just a few of the many interesting places to visit. Take a boat trip on the waters of the Moray coast and hopefully catch sight of the blue nose dolphins which the area is renowned for. For the more energetic, there is mountain biking through the woodland in the forest trails behind Birdsong. A large variety of water sports, fishing and boat trips, golf with numerous courses within easy driving distance, and hill walking are just some of the many activities available. The Cairngorms National Park and Aviemore which is set in the heart of the park, is a very popular destination for winter sports and is just over 40 minutes’ drive away. Take a trip along the Moray Malt Whisky Trail or a day out to the lovely Isle of Skye or the Orkney Islands (available Jun-Aug) which are both well worth visiting - there is so much to see and do for all ages. 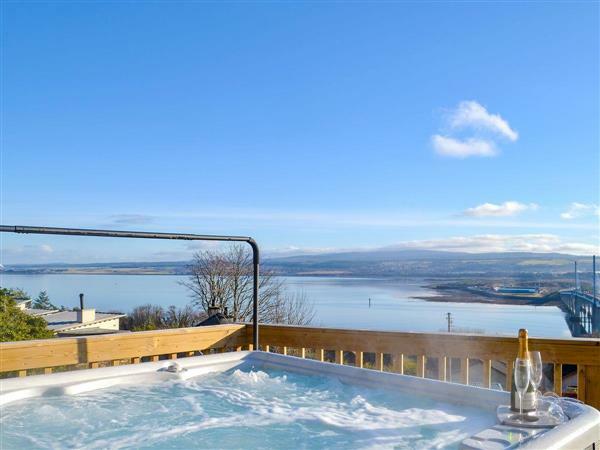 For the less energetic, sit back and relax whether it be in the hot tub or in the living area and watch the ever changing views from this lovely property. Many happy memories will be made in this beautiful and unspoilt destination. The beach, shop, pub and restaurant are all 1 mile from Birdsong near Inverness. Bedroom 1: With zip and link twin beds (can be super king-size on request), Freeview TV, DVD player and en-suite with shower over bath, toilet and heated towel rail (also accessed from hallway). Bedroom 2: With zip and link twin beds (can be super king-size on request), Freeview TV, DVD player and en-suite with shower cubicle and toilet. Bedroom 3: With king-size bed, Freeview TV, DVD player and en-suite with double shower cubicle and toilet. Bedroom 4: With king-size bed, Freeview TV, DVD player and en-suite with shower cubicle and toilet (also accessed from landing). Bedroom 5: With king-size bed, Freeview TV and DVD player. Oil central heating, electricity, bed linen, towels and Wi-Fi included. Travel cot and highchair. Welcome pack. Large decked area with garden furniture. Unspoilt wooded grounds. Hot tub for 5 (private). Private parking for 3 cars. No smoking. Please note: Couples and family bookings only, no stag or hen parties. There are slopes in the grounds. This property has a security deposit of £300. Holidays at Birdsong run from Friday to Friday. For a better idea of where Birdsong is, you can see Birdsong on the map below. Do you want to holiday near Birdsong (UK5668), you can see other cottages within 25 miles of Birdsong; have a look to find your perfect holiday location.